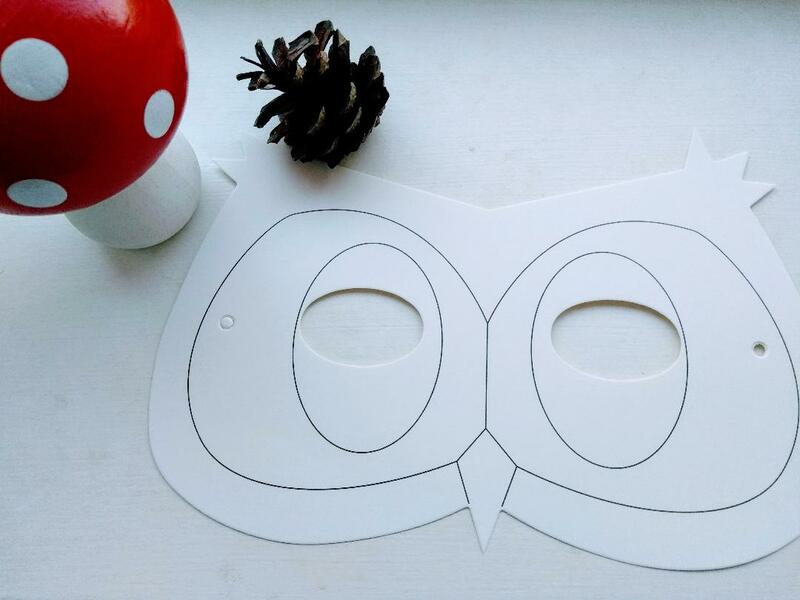 This is a really simple and quick activity we did. I cut butterflies by folding a piece of plain A4 paper in half and cutting a large number 3 and opening it up. 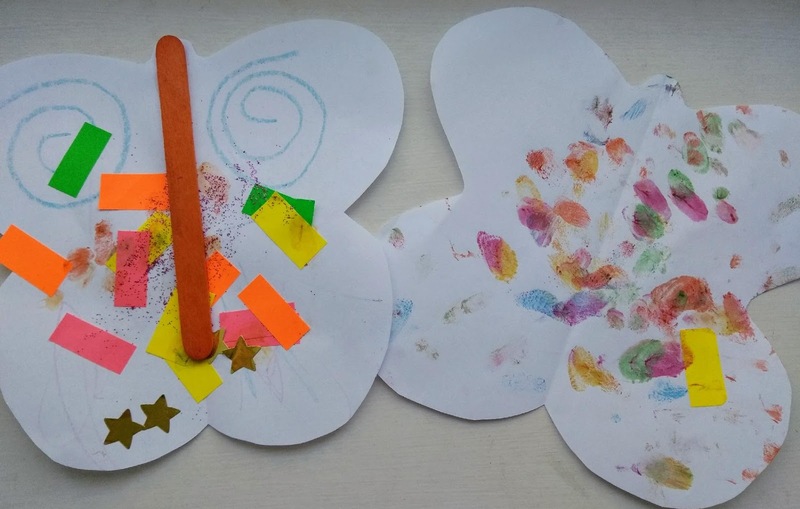 We used stickers and a large coloured stamp for finger painting to make butterflies like the ones we saw on our walk. We were looking under logs and leaves to find what different bugs lived there. 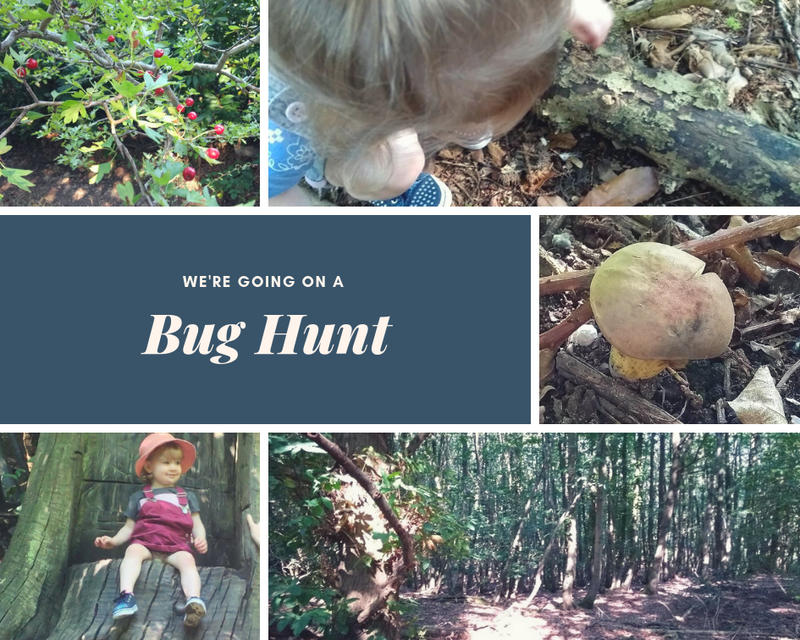 But we also found wild berries, fungi and rabbit holes on our wander. 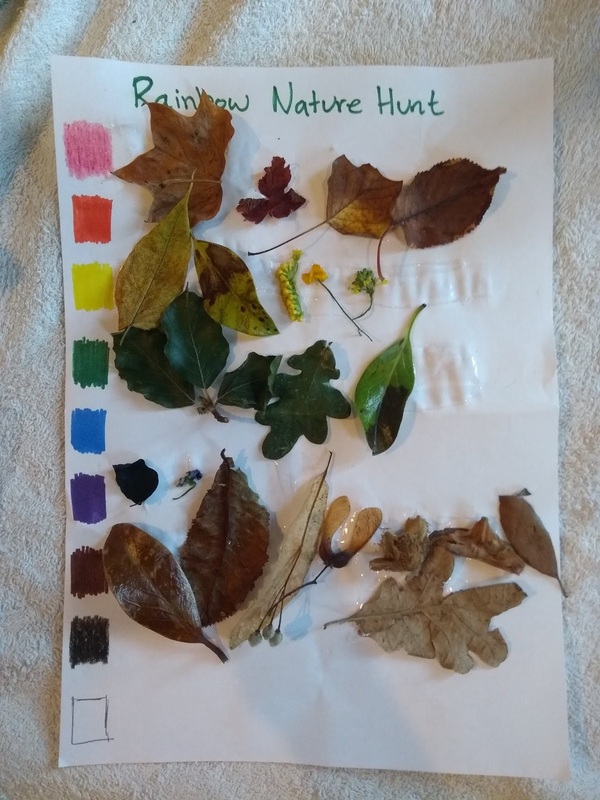 On our rainbow nature hunt we were looking for flowers, leaves and whatever other items we could find in the woods to glue down on to our hunt sheet. 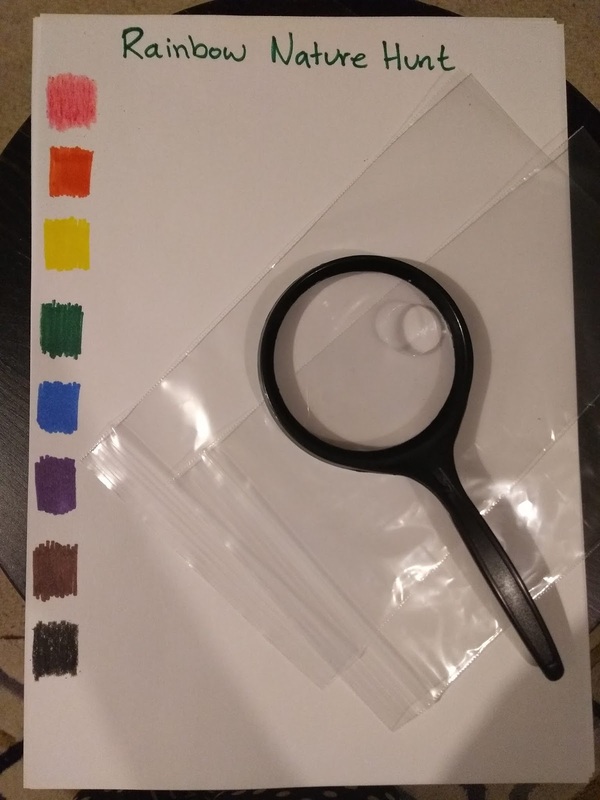 This was a chance to get my daughter talking about the different names of colours and doing colour matching. 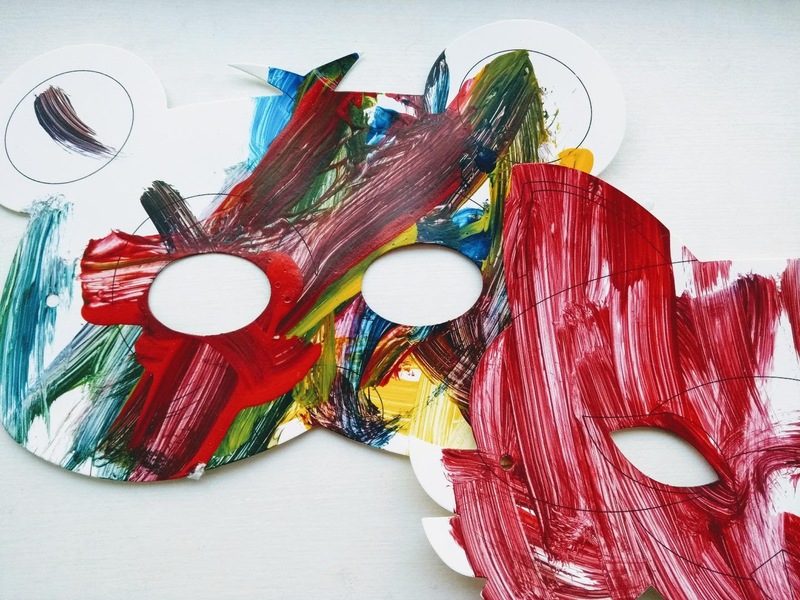 I found these masks in Poundland and my daughter used acrylic paint to colour them in. I used them to talk with my daughter about the animals that live in the woods and next time we go she can wear them. 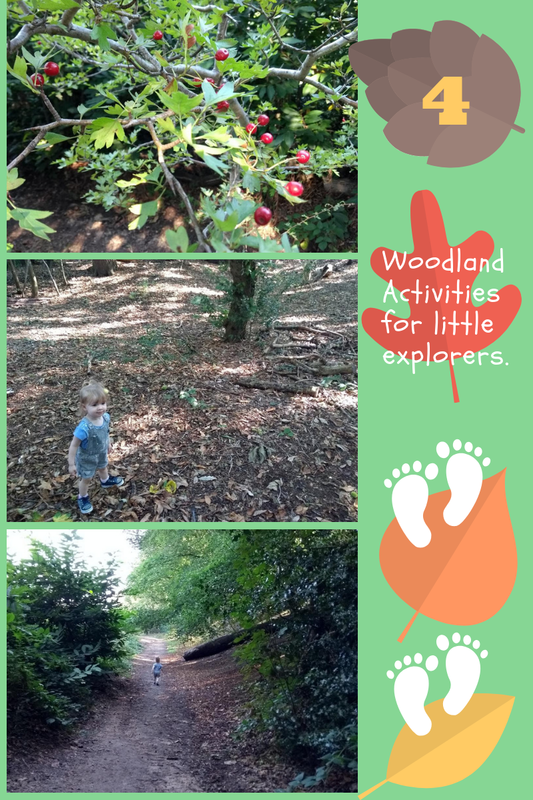 We love any excuse for a woodland walk! We would love to hear about your activities that we can try on our next trip out. Please let us know in the comments. Happy exploring!